The live streaming of Mumbai Indians (MI) v Chennai Super Kings (CSK) will be available on Star Sports 1, Hotstar, and Jio TV. The IPL 2018 tournament starts today with MI vs CSK Indian Premier League season 11 opener match. Also, there was 2018 IPL opening ceremony planned. It held starting at 6:15 pm IST. Though Mumbai Indians are the defending champions and three-time winners, most of the eyes will be stuck on Chennai SuperKings as they return after a two-year ban due to spot-fixing. The men in yellow will be led by former Indian skipper MS Dhoni, as usual. Today’s match will take place at Wankhede Stadium in Mumbai. 1.4 How do I watch IPL 2018, MI vs CSK live streaming online? In the IPL 2018 opening ceremony, a lot of Bollywood stars like Varun Dhawan, Hrithik Roshan, Tamannaah Bhatia, etc. presented glamorous performances. Rohit Sharma will lead MI once again. The home crowd at Wankhede will surely want to see one more cracking performance from the team in the limited overs cricket. MumbaiIndians will want to take the advantage of playing in the home ground while ChennaiSuper Kings will be hungry or may be desperate for a kickass start. Let’s dig more details regarding watch live cricket match today online on tv and live stream. CSK vs MI will be played on April 7, 2018, Saturday at 8 pm IST. This is the IPL season 11 opener match. The live coverage will begin with IPL season 11 opening ceremony live at 6 pm IST. The toss will take place at 7:30 pm IST, 30 minutes before the actual play. 2018 IPL MI vs CSK t20 match is scheduled to be played at Wankhede Stadium in Mumbai. MI will play all its home matches at the said stadium. Today’s match of Chennai vs Mumbai will have a live telecast / broadcast on Star Sports 1/HD, Star Sports Select 1/HD in English commentary. For Hindi viewers, you can switch to Star Sports 1 Hindi/HD. They are the official broadcasters for the season. 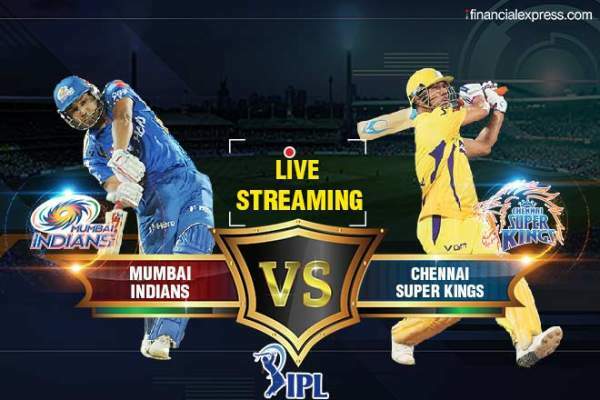 How do I watch IPL 2018, MI vs CSK live streaming online? If you want to watch it on TV, you can check the above-mentioned television channels. However, if you don’t have access to TV, you can watch it on the internet too, on your smartphone/mobile and PC (desktop/laptop). It will be streamed live on Hotstar app for Android and iOS, www.Hotstar.com, and Jio TV. Stay tuned to The Reporter Times for more cricket updates. Next articleMy Hero Academia Season 3 Episode 2 Release Date, Title and Details Out!